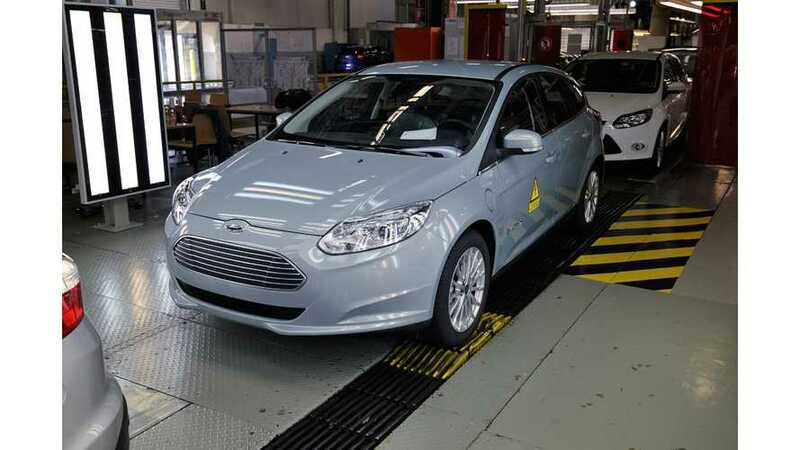 As you probably already know, Ford recently began production of Focus Electric in Germany. But what's the price? That info wasn't released until right now. 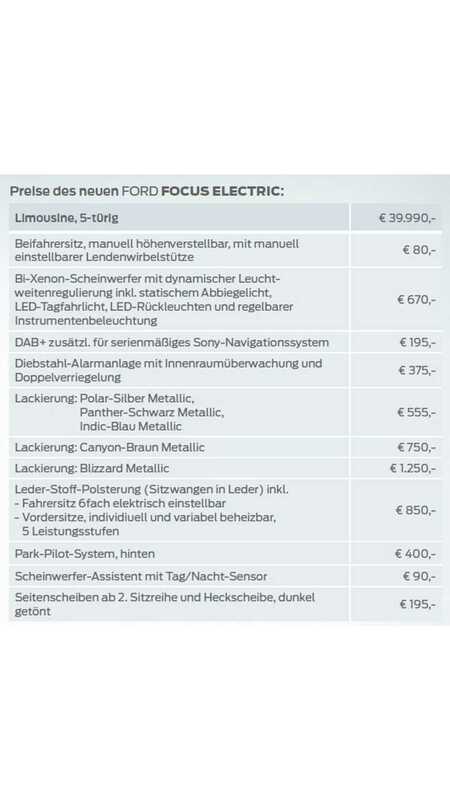 In Germany, the basic version of electric Focus costs €39,990 ($52,079 US)! And with all the optional bells and whistles, that price shoots up to around €45,000 ($58,604 US). That is not great news, and follows other "not great news" from VW and the €26,900 price tag recently placed on the e-up! Thankfully, for US consumers, the trend has been to lower pricing at Ford, as the base US 2014 model now starts at $35,200, which is down $4,000 over the outgoing 2013 edition. For the sake of comparison, the Nissan LEAF in Germany is priced as follows: €29,690 (Visia), €32,690 (Acenta) and €35,090 (Tekna). So, it seems Ford is not too interested in selling a decent amount of electric vehicles right now in Germany. But perhaps someday in the future. We still have on last question tumbling around in our mind and it goes something like this: Why would Ford opt to produce the Focus Electric in Germany rather than importing it from the US, especially since it seems Ford will only sell the Focus Electric in extremely limited volume in Europe?